I don't know why it took me so long to become acquainted with avocado toast, but I'm certainly glad I am now! When we were in the Hamptons a few weekends ago, we ordered avocado toast as our breakfast appetizer (yes, you can have appetizers at any meal). Um, delicious. This is the perfect breakfast or afternoon snack-- filling, nutritious, and most importantly so tasty. 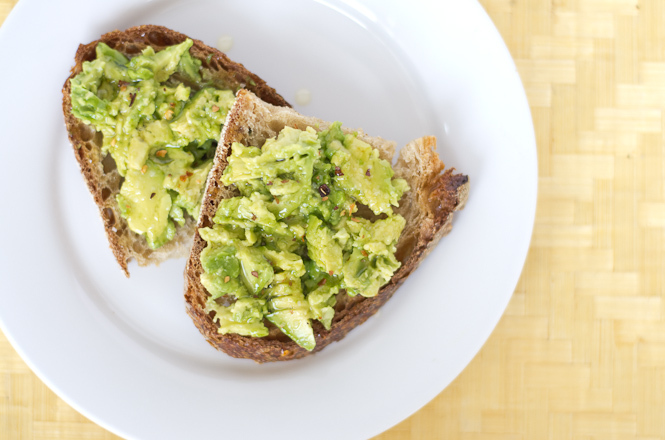 While you're bread is toasting, lightly smash the avocado. 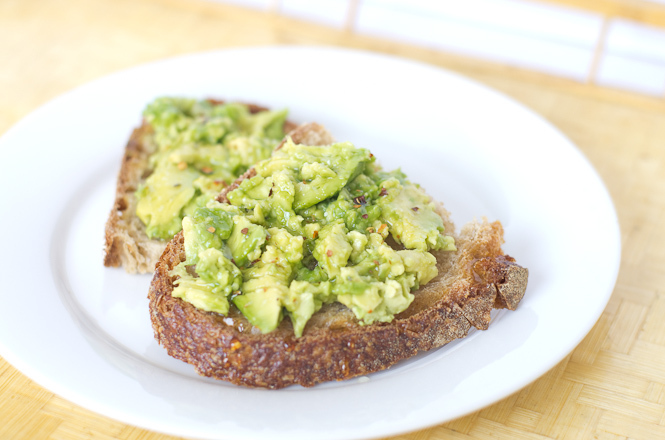 Top the toast with the avocado, drizzle with honey and sprinkle with kosher salt and red pepper to taste.